Queen duvet cover (88" x 88") featuring the image "Calf Creek Falls Utah" by David Lee Thompson. Our soft microfiber duvet covers are hand sewn and include a hidden zipper for easy washing and assembly. Your selected image is printed on the top surface with a soft white surface underneath. All duvet covers are machine washable with cold water and a mild detergent. 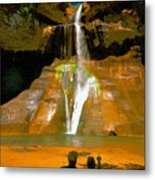 The hike to Calf Creek Falls is one of my favorite hikes in the southwestern US. As you can see why I was inspired to create this piece. It brings back memories of a beautiful hike in a magical place full of inspiration and wonder. Totally arresting image. Fantastic in every way. 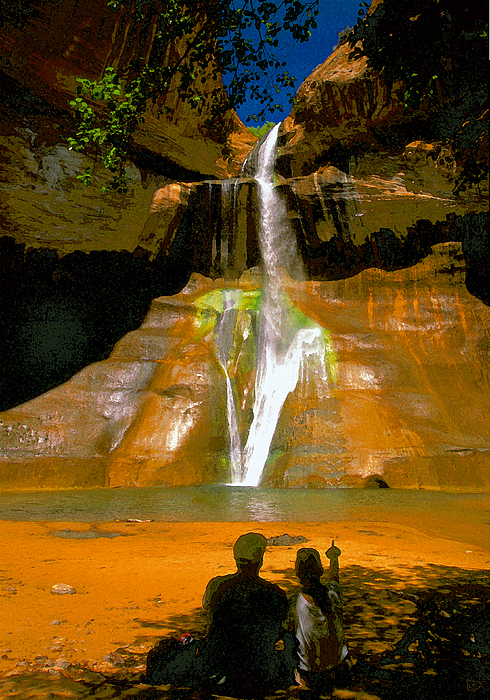 Artwork of a young couple sitting in the shade after a long hike to Calf Creek Falls. 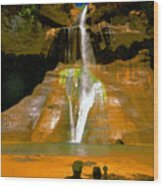 Calf Creek Falls sits in a remote canyon in southeastern Utah, it is only accessible by a long hike which rewards the hiker with a nice cool pool of water..